Zimbabwe to phase out 'untenable' bond notes? 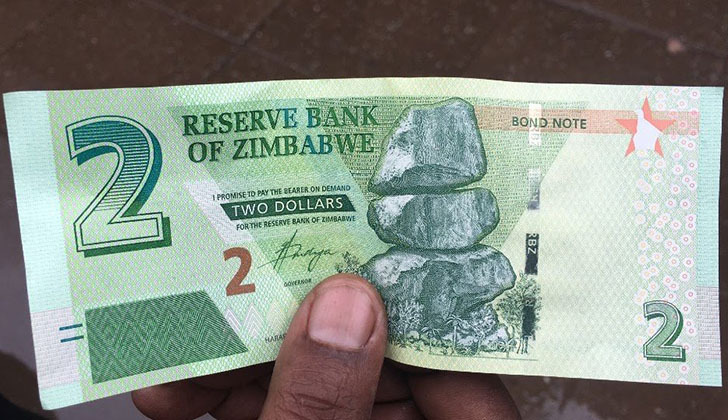 There is consensus in Government that bond notes have largely served their purpose and are "not tenable" within the context of Zimbabwe's new economic growth trajectory. The thinking in Government is that in the long-term, bond notes may impede sustainable economic growth as envisaged by President Emmerson Mnangagwa's administration. Deputy Finance Minister Terrence Mukupe told The Sunday Mail last week that there was need to take steps towards introducing a local currency once "fundamentals are in place". "We need to have sufficient resources and increase exports for us to introduce our own currency. As long as we have Zidera (the Zimbabwe Democracy and Economic Recovery Act), we can't do that," said Deputy Minister Mukupe. The US passed Zidera in 2001 to cripple Zimbabwe's economy by blocking extension of funds by multilateral financial institutions, primarily the World Bank and International Monetary Fund. In this regard, Deputy Minister Mukupe said: "There is recognition that to achieve the growth we want, we need to have our own currency. Bond notes are in place and they are still serving their purpose. "But we can't be printing bond notes that are not backed by a facility. We need a facility such as the one we have with Afreximbank." In an interview with our sister paper Business Weekly last week, Foreign Affairs and International Trade Minister Lieutenant-General (Retired) Sibusiso Moyo said: "Generally, our products are expensive and, therefore, not competitive on the export markets. "We need to retool to increase efficiency and reduce labour costs which are affected by the use of the US dollar. The cost of production has to come down and one of the ways this can be achieved is through attracting cheap finance. If industry is able to attract capital at low interest rates, then the cost of production will immediately decrease. "Naturally, there is an absence of own currency, which would have retained both value both domestically and comparatively with our trading partners and this is a factor." On December 16, 2017, Deputy Minister Mukupe was quoted saying, "We are in agreement as Government that the situation that we have with bond notes is not a sustainable situation and it's not the end. "And we are also in agreement that as a nation, for us to have sustainable growth, we must have our own currency. ''But if this (local) currency is going to be introduced, there are certain conditions and certain fundamentals that have to be in place. We can't just wake up and introduce a currency today; it won't work."